Residents FED UP w/ Zuccotti Insurgents & JUMMAH Prayers at Ground Zero | the "silent" majority no more! Whether Day 20 or Day 33 the situation has remained the same. The anarchists are going no where soon and Quality of Life issues are critical. They run their “village” it seems with Working Groups.. They remain a strange bunch of malcontents.. They aren’t leaving. Day 33. They are dug in . The residents of NYC, particularly in this Wall Street area, have no protection under the law from this urban terrorism. But, the downtown locals are no longer keeping quiet about it. This report came in at 7 PM (October 20) . It looked encouraging, but the citizens are still on the losing end of this occupation from what little news I can find on the meeting. Infuriated lower Manhattan residents went ballistic on Zuccotti Park protesters at a chaotic Community Board 1 meeting tonight while blasting politicians for allowing the siege to continue without any end in sight. The meeting, which kicked off at 6:15 p.m., has already attracted several hundred people. And tomorrow at 1 PM, things go from bad to worse…. This Friday, the Council on American Islamic Relations New York Chapter (CAIR-NY) would like to invite you and your organization to join us for Jummah at Occupy Wall Street this Friday, October 21st. Over the past several weeks, it has become clear that many of the demands of Occupy Wall Street parallel those of the New York Muslim community. Especially in light of the recently exposed NYPD surveillance in Muslim Student Organizations, we need to unite in our repudiation of government corruption and our rejection of the political effort to marginalize our voices. Even if your MSA cannot is not able to join us officially, we would appreciate it if you could circulate the attached message among your mailing lists. Feel free to make any changes to our wording to suit your needs. It is time for the New York Muslim community to assume its place in the fight for political and economic equality in this country, and it is vital that the youth lead the way. CAIR-NY is proud to support and invite you to Friday Prayer at Occupy Wall Street this Friday, October 21st, where we will join in solidarity with “the 99%.” Jummah, hosted by Majlis Ash-Shura (Islamic Leadership Council of New York) is scheduled for 1pm at Zuccotti Park. A sermon on social justice in Islam will be delivered by Imam Aiyub Abdul Baki. CAIR-NY’s endorsement of Friday Prayer at Occupy Wall Street stems from a conviction that many of the issues brought into the international spotlight by Occupy Wall Street affect Muslim communities disproportionately, and it is up to us to stand up for our rights and show the world what democracy and peaceful protest look like. Look for our table at Zuccotti Park to obtain information about our current projects and to expand the role of New York Muslims in the Occupy Wall Street movement. I fear we may be looking into the mouth of the abyss, or maybe not. 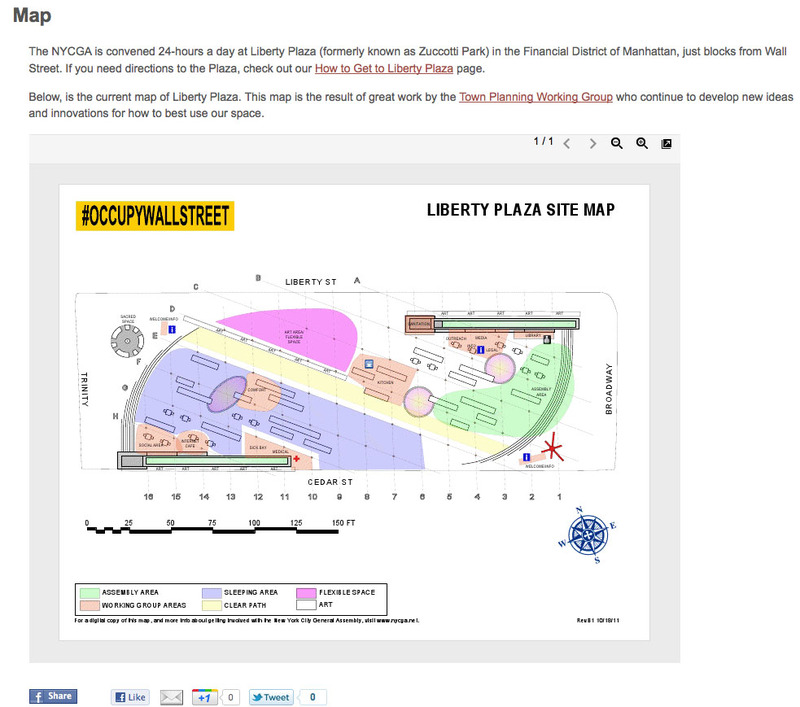 Follow their link here cause tomorrow is Family Sleep Over night at Zuccotti-ville!